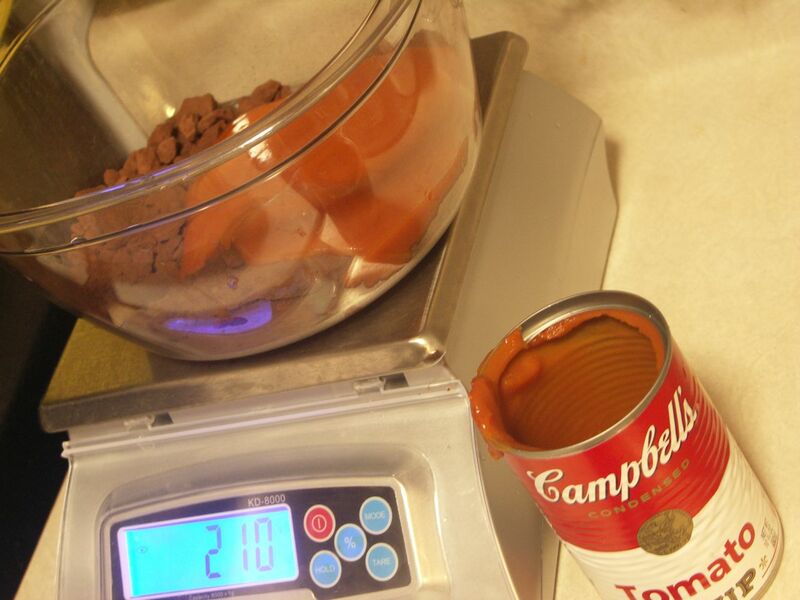 1- yes, you mix campell’s with cocoa powder! 2- my favorite cocoa powder is green & blacks. it really tastes extraordinary and lacks that burnt taste characteristic of many other cocoa powders! green and blacks cocoa powder is also pretty black! however, for this cake, i am using a different brand, just a bit more average, it does have a lighter color and a slight burn taste. i am hoping the tomato will contrast this and turn average cocoa into heaven! 3- to evenly divide the cake batter in two cake pans, is best to weigh! 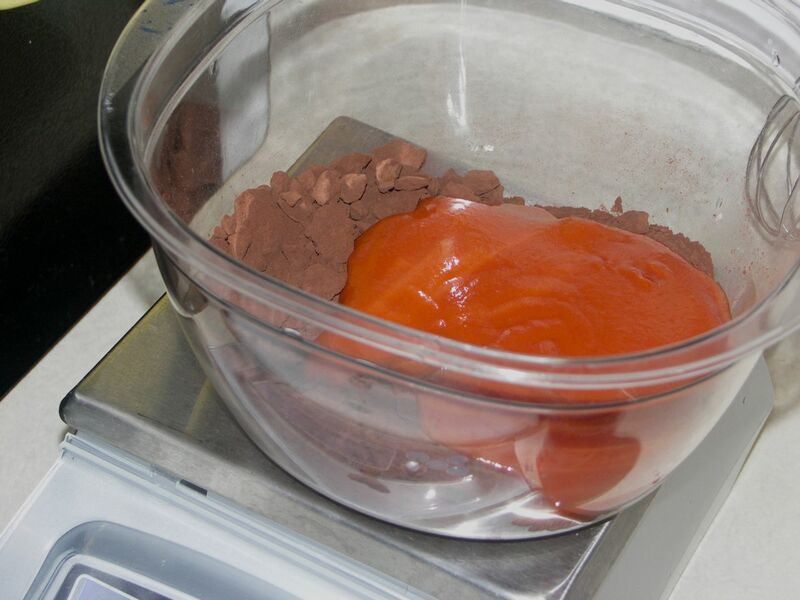 prior mixing, note down the weight of the mixer’s bowl. 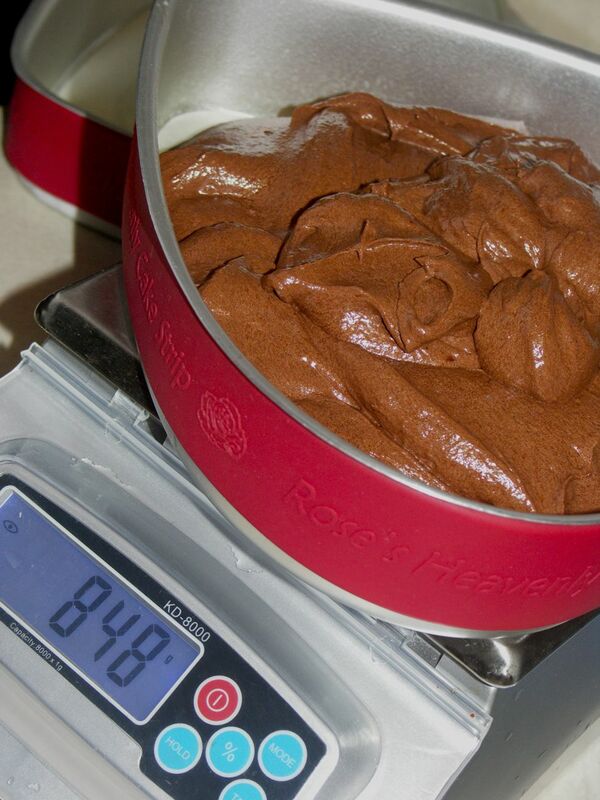 after mixing, weigh the cake batter, with the bowl, subtract the weight of the bowl, then divide by two. 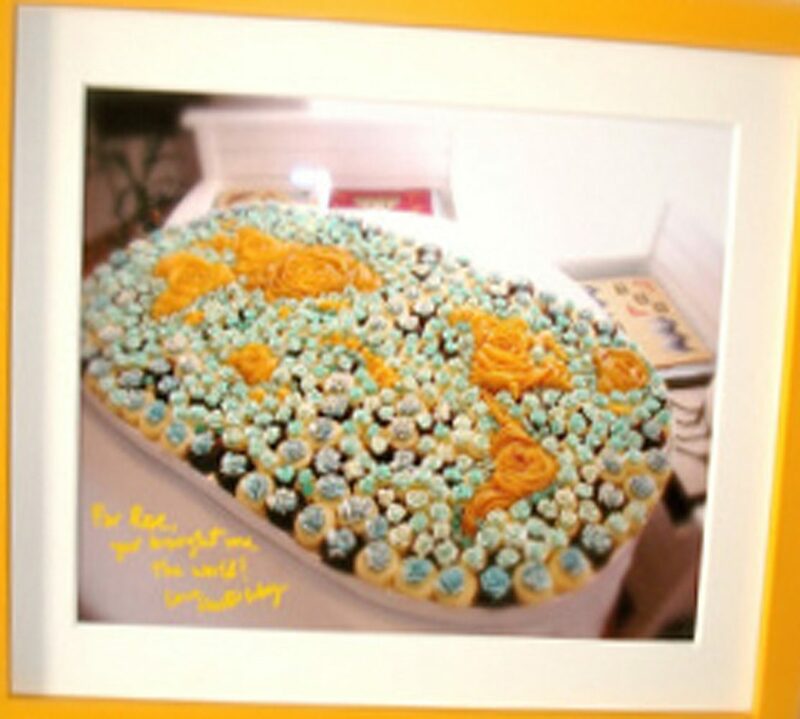 I always laugh when I see this cake, I just can’t help it. I guess tomato is technically a fruit, right? And there are a number of chocolate-fruit combos, so I’m not surprised that Rose found a way to make it work. Which common cocoa did you use? j, is a really really good cake. it caramelizes into deep color, sweet, and a hint of spice. there is NO tomato flavor. in my opinion: the best chocolate butter cake in the book!